Gathering useful timely feedback from customers can be a long process. Even after you’ve weeded out the aspirational, the hypothetical and the third party statements, you still have to decide what customer feedback you should listen to, and figure out how to make sense of it. Customer feedback is input relayed from your customers about their experience and satisfaction levels regarding your product or service. Customer feedback can come in from a variety of channels (email, social media) or tools such as Intercom. Do you pay equal attention to all the nuggets of wisdom people give you? Unlikely. Chances are the friends you’ve known the longest are the people whose opinions you’ll trust most. The stranger you just met on a bus who told you emphatically what you should do with your life? You’re probably not going to put as much weight on their views. In a business situation, the customer’s relationship with your business influences how much weight you give their feedback. Customers who have been loyal the longest have a wealth of experience with your product that makes their opinions particularly valuable. 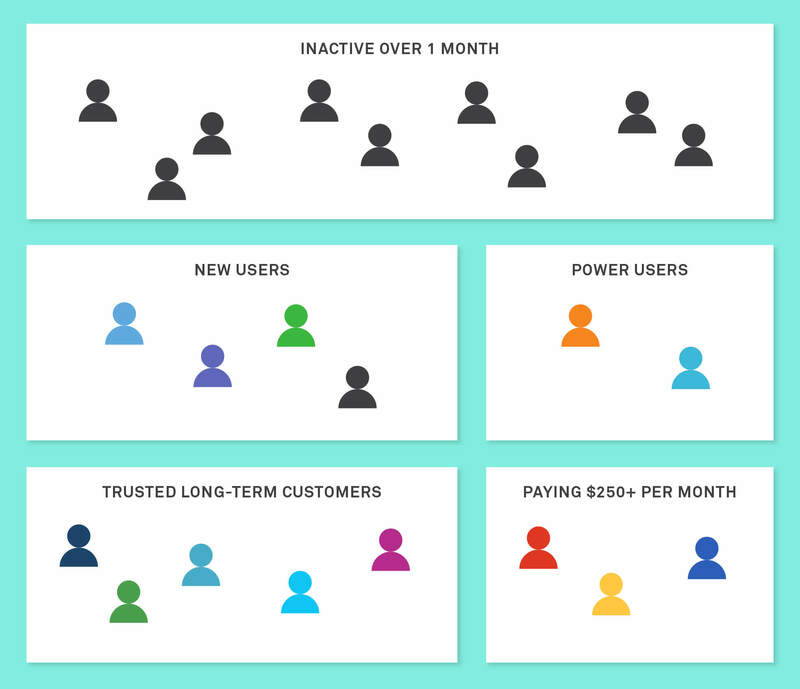 Do you have some customers who only started using your product six months ago but use it heavily? They’re likely to have a lot of insightful feedback. Do you have some customers who pay significantly more than others? You may want to factor that in too. Unprompted feedback deserves special attention. Here’s one key reason why. The customer issues that aren’t on your radar, that you’re completely unaware of, can be the most important things you need to hear. You’re more likely to hear those left-field issues via unsolicited feedback or from open ended survey questions rather than, say, a survey with multiple choice answers. There’s a reason doctors ask if there’s “anything else you want to talk about?” at the end of your appointment. It often triggers the patient to talk about their most important issue. Remember, people are generally motivated to provide unsolicited feedback if they have an extreme experience. That’s why you see Yelp restaurant reviews clustered around the “amazing” and “appalling” end of the spectrum. People perceive they’ll gain social capital from telling others about the great restaurant they just went to or by warning others against a terrible restaurant. But the night your dinner was really average? You’re probably not going to bother writing a review because, well, what’s the point? It’s not a very interesting story is it? The restaurant example of customer feedback illustrates an important principle about motivations. The type of distribution that results in this kind of restaurant review data is often a J curve. The “J” shape refers to data where the the curve initially falls but then rises to a higher point than the start. When it comes to customer feedback you receive about your business, you can expect there to be a similar pattern. Your customers are more motivated to tell you when they are very happy or unhappy about your product. However, this doesn’t mean that your customers only love/hate your product. You’ve probably got a large group in the middle who think your product is “fine”. These customers typically stay silent. Remember, they could have also have useful feedback for you. If you’re smart, you’ll find ways to tease out their feedback. If 80% of your customer feedback in the last month is telling you that the “improvement” you made recently to your core product has broken people’s workflow, you should listen up. The overall volume of feedback about a single issue relative to other issues matters. It will also protect you from “fre-cently” bias, where people assume things they hear frequently or recently have the greatest importance. User issues are often dismissed on the grounds that “Oh we’ve heard that for years”. Maybe you’re planning to finally address that issue in a big redesign next year. Or more likely this request has become so repetitive that it’s become trite, a sort of dull whine that nobody listens to anymore. Either way, this kind of feedback is really worth listening to, especially when it relates to product quality, bugs, or difficulty achieving a core task in the product. It’s an indicator you haven’t got the basics right, and that’s something you have to address as a priority rather than ignore. Some feedback is worth listening to purely because of the severity of the problem the customer is experiencing. This is high stakes feedback. Perhaps you pushed a release that had a security loophole, or your product has accidentally put consumer’s privacy at risk. When reviewing customer feedback, try build a mechanism that alerts you to this kind of very occasional but high stakes feedback so you can take action straightaway. There are a number of tools, methods, and feedback systems you can use to learn about your customers’ experiences. Here are three places where you can proactively (or reactively) hear what your customers are saying. Live chat is a frictionless way for customers to communicate with you directly. 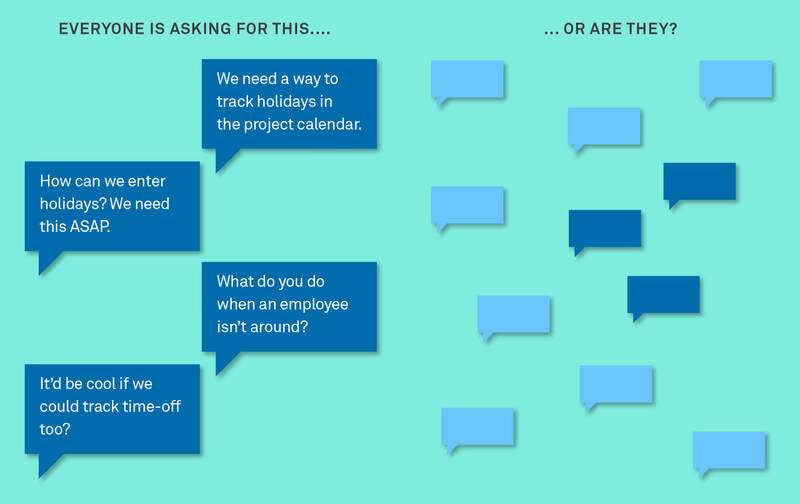 You can ask specific questions (prompted) or passively categorize the inbound feedback (unprompted). Asking your customers questions regarding specific features, aspects of your platform or parts of their experience is an easy and direct way. Here’s how to do it with Intercom. As you’ve probably noticed, people like to express their feelings on social media. While it is oftentimes not constructive, you can actually find extremely valuable feedback on Facebook, Twitter, and other places. Customer feedback on social media tends to reside on either end of the spectrum — elated or infuriated. But if trends appear, you can incorporate it into your analysis. There’s a huge range of customer feedback that you can mine for valuable insights. 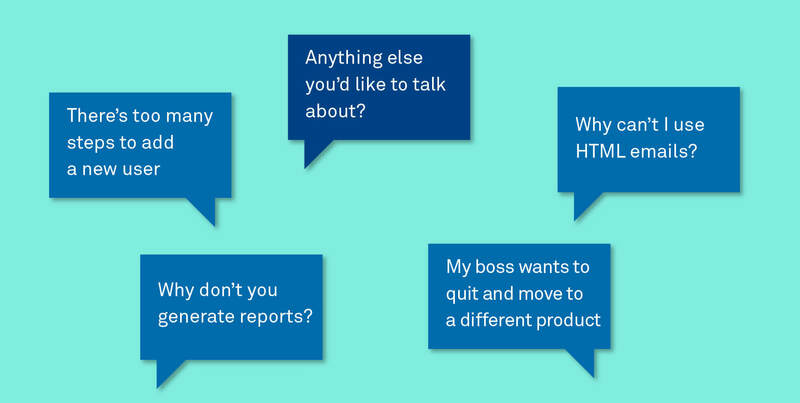 There’s also no “best” form of customer feedback Tools like Intercom makes it faster and easier than ever before. In part two, we’ll examine how you can turn customer feedback into an actionable list of issues your team can address and create a clear set of priorities that directly inform your product roadmap.